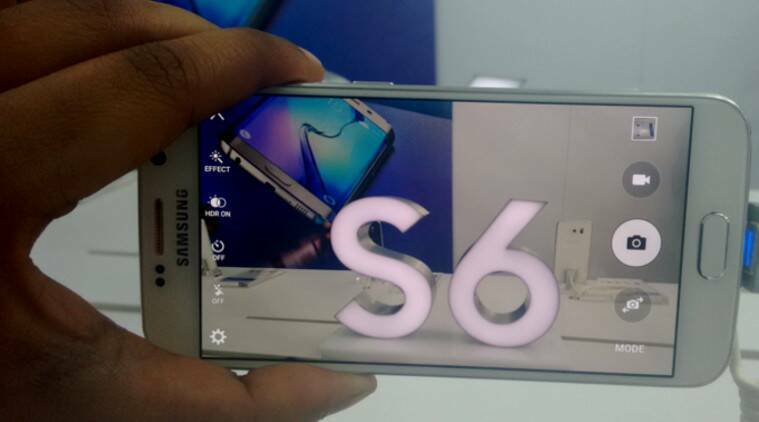 With the new design, the S6 loses waterproof protection and the ability to replace the battery and add storage. Losses, but not big ones. A better design, sharper camera and easier to use software make the new Galaxy S6 phones the best Samsung has yet to offer. Although Samsung has been praised for its improved hardware, much of what I like is in the software specifically, what’s not in it. After a few years of making phones difficult to use with a slew of questionable features, Samsung continues to streamline its phones with the S6. 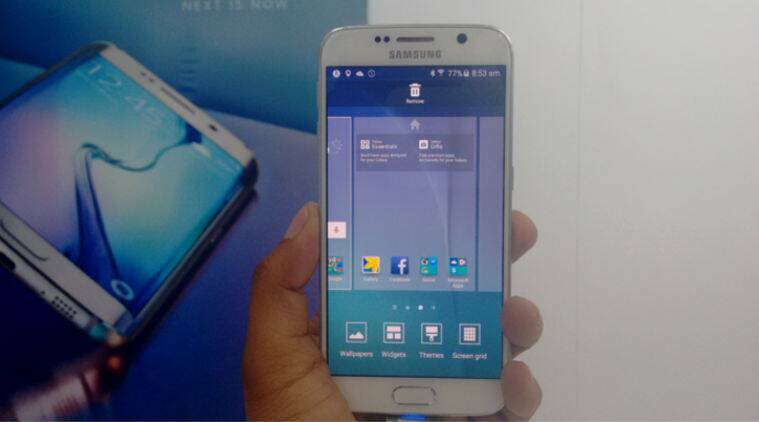 The Samsung Galaxy S6 will be available at Rs 49,900 (32 GB), Rs 55,900 (64GB), Rs 61,900 (128GB) while the Galaxy S6 Edge costs Rs 58,900 (32 GB), Rs 64,900 (64 GB) and Rs 70,900 (128 GB). Gone is the cheap-looking plastic back. The design is more stylish, with metal sides and a glass back, similar to older iPhones. Although I like the look, the glass makes the phone feel slippery, like a shiny marble countertop. 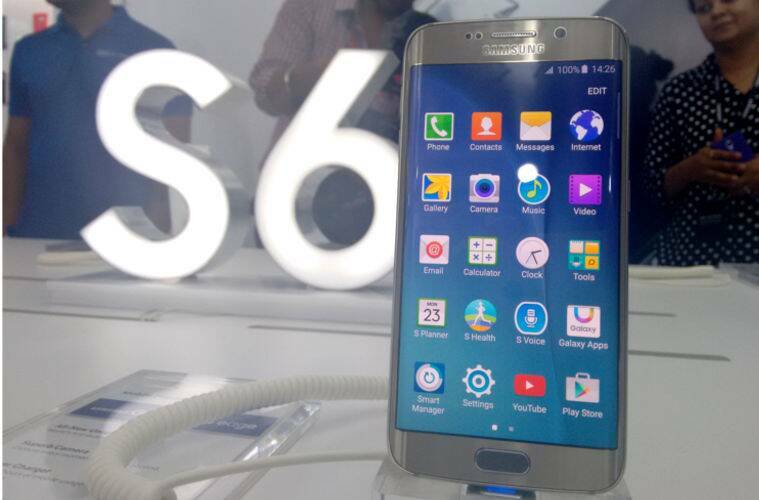 Get a case; the regular S6 phone slipped out of my hands a few times. Apple’s iPhones now have metal backs and feel sturdier to grip. That said, the Edge version doesn’t feel as slippery, perhaps because I’m gripping the back part tighter given that the screen curves halfway down the sides. I’m impressed with the images I’ve taken so far. Many of the shots had great focus, matching the performance of the iPhone 6. Colors on a green store sign weren’t as strong as those shot with Samsung’s Galaxy Note 4 and that’s good. While stunning, colors on Note 4 images sometimes look unnatural. 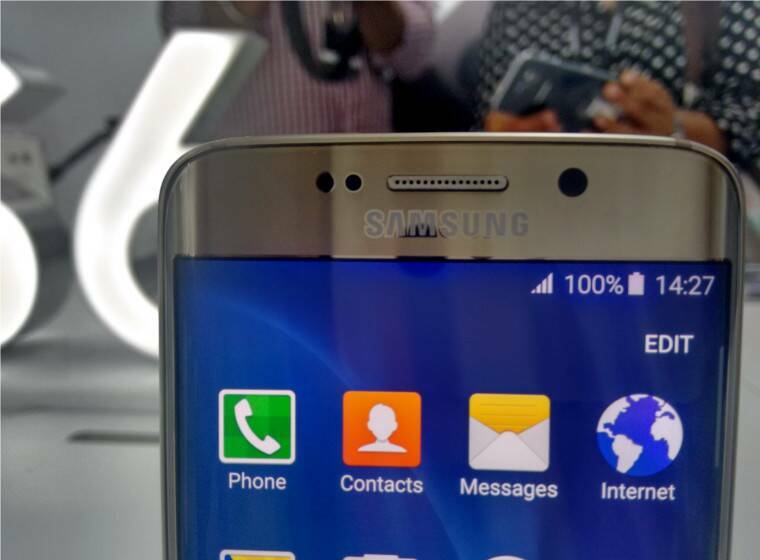 I haven’t noticed that so far on the S6. One nice touch: Quickly double tap the home button to launch the camera, even when the screen is off. Though most phones let you launch the camera from the lock screen, I still lose shots in the time it takes to slide or tap the right icon. I liked the rich colors produced by Samsung’s Amoled screen technology as I watched “Mad Men” on Netflix. But I found the controls very sensitive. Video stopped several times as I inadvertently hit the back button, which is built into the phone’s frame. In addition, video often paused when I mistakenly touched the edge of the screen, launching the notification bar. You must handle the phone with care. Samsung’s software improvements are subtle yet welcome. The most noticeable change is replacing many icons with text. For instance, there’s a tool for searching through your settings. Previous Samsung phones depicted that as a magnifying glass icon. On S6 phones, it simply says “SEARCH.” Same goes for controls such as “EDIT” and “MORE.” This applies only to Samsung features and apps, though. You’ll still get mysterious icons with third-party apps. You also get the latest version of Android, Lollipop. Benefits include bringing notifications to the lock screen, similar to iPhones. That saves a lot of taps getting to the message you want. You can restrict what appears there if you’re sensitive to prying eyes. The Edge model’s side displays enable some nifty features, such as having the sides flash a different color based on who’s calling. But the Edge comes across as something still looking for more practical uses. 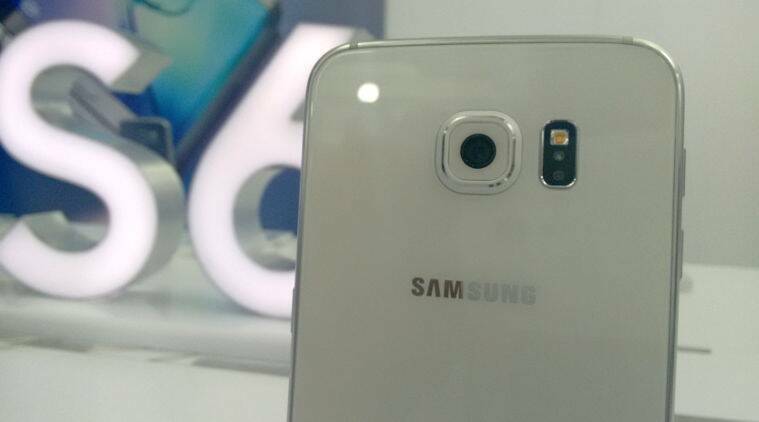 The regular S6 model will be fine for most people. Both models come with a fingerprint scanner for unlocking the phone. 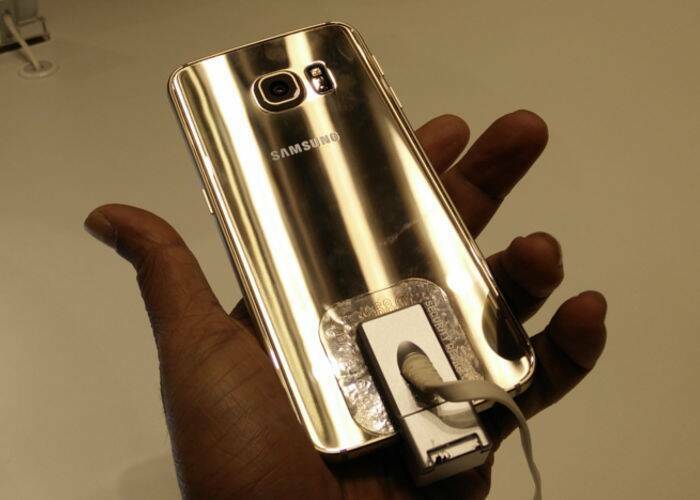 Both also have fast-charging capabilities; I got to 47 percent in just 30 minutes on the regular S6. The phones remain at 5.1 inches diagonally, just a tad larger than the iPhone 6, which got a size boost over the previous year’s models. 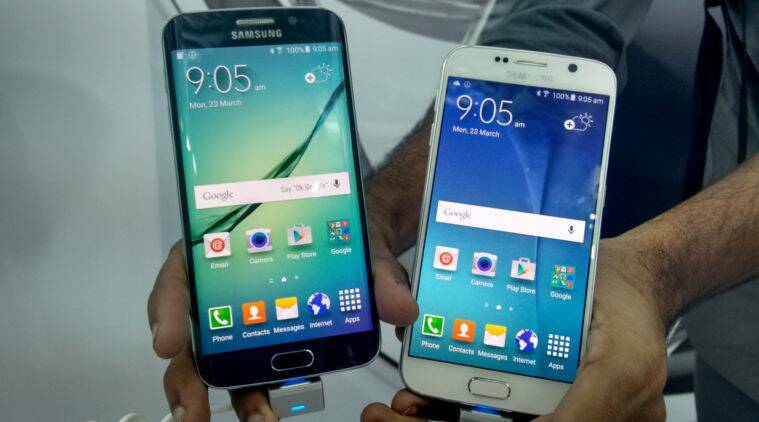 The new S6 phones show that Samsung’s more than a big screen. I look forward to seeing how Apple responds with new models this fall.